The following streets, places and buildings use the Brogden or Brogdon name. The reasons are known in some cases. Please email Mike Brogden if you have explanations for the others or any other streets, places or buildings to add. Note: In the UK the spelling is almost always Brogden but in the USA the don spelling is almost as prevalent as the den. Brogden: a hamlet near Barnoldwick in Lancashire, UK; previously in the West Riding of Yorkshire. Brogden = brook dene: the valley of the brook. This is the origin of the Brogden surname. 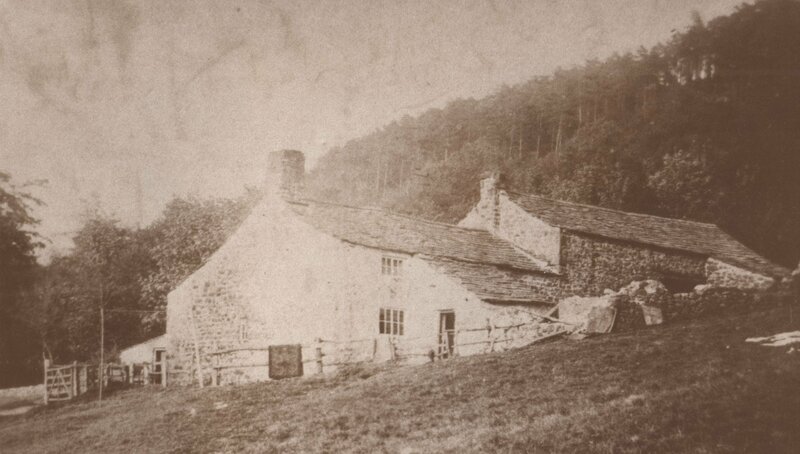 Also to be found near Barnoldswick: Brogden Lane (the line of a Roman road through Brogden); Brogden View; Brogden Street; Brogden Hall (now demolished); Brogden Hall Farm. Brogden Close, Botley, Oxford: named after Stanley Brogden (1904-1991) in recognition of his services as a parish and county councillor. Brogden Stand, Tubney Woods, Oxfordshire - a plantation of trees, perhaps named after the Brogden from Cumnor who was employed there and planted them. Brogden Avenue, Culcheth, Warrington, Cheshire. Brogden Drive, Gatley, Stockport, Cheshire. Brogden Crescent, Leeds, West Yorkshire. Brogden Grove and Brogden Terrace, Sale, Cheshire: named after John Brogden of Sale. Brogden Street, Ulverston, Lancashire: presumably named after John Brogden of Sale whose company built the local railway. Brogden - a hamlet of 5 dwellings near Maidstone, Kent, each of which has the name. For example, Brogden Farm Oast. The name presumably arises from the same root as Brogden in Yorkshire/Lancashire: brook-dene/brook-valley. Nearby is the similar, Brogdale. George Redmonds, the surname expert, says that he has seen no suggestion that this Kent Brogden has given rise to a surname. Brogden Close, West Bromwich, Birmingham: perhaps named after Alexander Brogden (son of John of Sale) who was a local MP for 17 years. WJBrogden Psychology Building and Brogden Hall, University of Wisconsin, USA: named after a former psychology professor. Brogden Point, overlooking Lake Otis, USA: 19 acres planted by Isla Van Clief Brogden in 1978. Brogden, North Carolina, USA; possibly named after Curtis Hooks Brogden, Governor of North Carolina in the 1870s. Birthplace of the Hollywood actress, Ava Gardner. Brogden Hall: opened in 1954 at the New Hanover High School, Wilmington, North Carolina, USA. James Street and Mary Street, Porthcawl, South Wales: named after James (son of John the railway contractor) and Mary Brogden who developed the town.